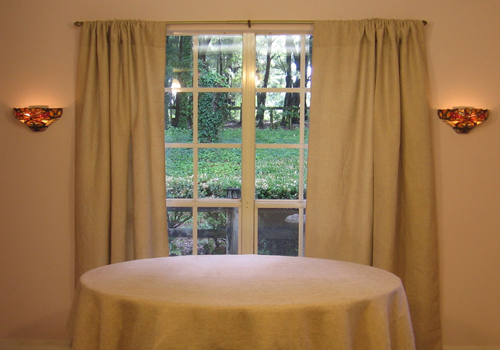 The best burlap drapes curtains can make your home more beautiful, casual look. The curtains allow some light filtration, giving the illusion of more space and an airy home. You can pick natural or faux burlap drapes. Natural burlap drapes are made of 100% jute and have to be dry cleaned while Havana Faux Designer burlap drapes are made of polyester and may be machine washed and tumble dried. Is there a big difference between the two materials? Well, an expert can easily easy tell even from a distance but most people would never know, actually. Try burlap drapes for your home now.